APEC Authority documents show that at least 500 vehicles have been procured by the O’Neill Government for APEC, many of them Land Cruisers and Prados similar in luxury to the Bentleys, Maseratis and Mahindras. “The astonishing total indicates that a free-for-all of greed is taking place under the guise of APEC,” Sir Mekere Morauta, Member for Moresby North-West said yesterday. “Many of them have been claimed by the Prime Minister, the APEC Minister and top APEC Authority officials, who already have vehicles allocated to them as part of their contracts. “Others have gone to ministers and their outriggers, public servants and the heads of statutory bodies who are also allocated vehicles as part of their contracts." Sir Mekere said the APEC Authority documents do not reveal the total cost of vehicle acquisitions. But it must be astronomical, he said. Nor do the documents indicate whether public competitive tenders were called for all these vehicles, as required by the APEC Act, whether their procurement was scrutinised by the APEC Probity Auditor, as required by the Act, or whether they are to be disposed of after APEC by competitive public tender as required by the Act. “This vehicle procurement by APEC highlights the greed and self-indulgence of the Prime Minister and the APEC Minister,” Sir Mekere said. 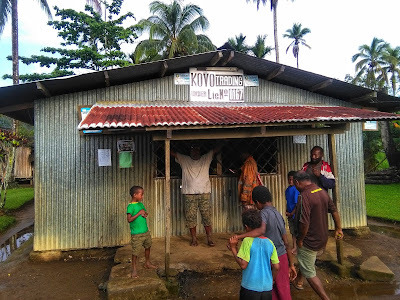 “It highlights their twisted priorities - spending tens of millions of kina on luxury vehicles at a time when ordinary Papua New Guineans are suffering unprecedented hardship, and the nation is almost bankrupt. What is the total cost of vehicles purchased for APEC? K100 million? Or more? “That money should have been spent on health and education and other essential services, not a giant party for foreigners and PNC cronies. The full details of the vehicle arrangements are available here, https://apecpngtenders.org/tenders/ under the item Transport Managing and Maintenance. Opposition Leader Patrick Pruaitch said yesterday he was dismayed to learn that the O’Neill Government had effectively censored the PNG media and threatened one of the pillars of democracy in this country. Pruaitch said two prominent Opposition leaders, East Sepik Governor Allan Bird and Madang MP Bryan Kramer, had been scheduled to discuss the scandal surrounding the import of 40 Maserati cars from Italy on FM100. 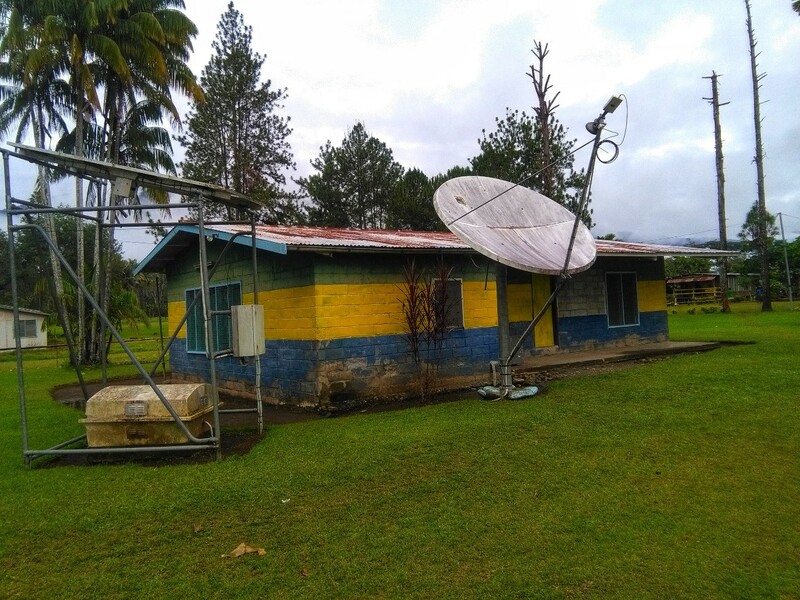 Reports coming in from Port Moresby, Lae and various parts of Morobe indicate these broadcasts were blocked by the O’Neill Government in an unprecedented action. Pruaitch said: “It has long been acknowledged that freedom of the press in PNG is a key pillar of the nation’s democratic institutions, acting as a safety valve on many issues of public interest. “Freedom of the press and the role of the media has helped PNG retain its reputation ‘as one of the persevering democracies in the developing world,’ as one political scientist put it. “From this perspective this is a sad day today for all Papua New Guineans. Pruaitch said he was adding his voice to the call to all Papua New Guineans, in the public and private sector, to stand up and say, ‘enough is enough’, and demand an end to waste and corruption by supporting the nationwide strike on Thursday and Friday initiated by colleagues in the Opposition. "This government is the recipient of more revenue than any government in the nation’s history, but it is constantly broke and unable to keep up with budgeted payments for education and health and causing numerous offices to be locked out of their premises for failure to pay rent. “These are problems that have never been encountered on this scale in the past. APEC Authority documents reveal that the K2.3 million purchase of three super-luxury Bentleys for the Prime Minister, APEC Minister and others was carried out through the Malaysian medical supplies company Borneo Pacific. An invoice for the cars sent to APEC Authority CEO Christopher Hawkins comes from South Pacific Ventures of Kuala Lumpur, which describes itself as a business consultancy and health services provider in PNG. Borneo Pacific and SPV are both controlled by a Malaysian family which is close to the Prime Minister, Mr Peter O’Neill, and other senior politicians, businessmen and public servants. The family has extensive octopus-like business interests in PNG, and is currently rumored to be starting a brewery in partnership with the Prime Minister. Borneo Pacific has been criticised for the provision of over-priced medical supplies and faulty medicines, and hitches in its supply chain. It has attracted widespread criticism, including from the Australian Government, for its failings. The Member for Moresby North-West, Sir Mekere Morauta, says the deal shows the contempt the O’Neill Government and the APEC Authority have for proper process if it did not go through an open and competitive tender as required by the APEC Authority Act. “Neither the Prime Minister, APEC Minister Justin Tkatchenko nor Mr Hawkins have been able to provide evidence that the APEC luxury car deals, now worth over K32 million and counting, are legitimate,” he said. It is time for the Prime Minister and APEC Minister to start telling the truth about the APEC luxury cars scam and other APEC spending, the Member for Moresby North-West, Sir Mekere Morauta, said this morning. “What we have got so far is half-truths, distortions and contradictions that amount to a cover up of their use of APEC as a money rain scheme and vehicle to divert money for other purposes,” he said. “Two half-truths don’t make a fact. “I am now hearing that the illegal purchase of 40 luxury Maserati cars is not the end of the story. Sir Mekere said he had been told that even more luxurious cars are on the way to Port Moresby, and documentation has been provided to him that appears to confirm the allegations. "Three super-luxury Flying Spur V8 Bentleys, possibly more, are on their way to Port Moresby for Mr O’Neill, Mr Tkatchenko and others including Chinese cronies, to ride around in.
" According to official documents, the price for three is $US695,238.30 (K2,363,810.22), duty- and excise-free. "The outright purchase by the State is said to have been approved by NEC. "Have they been procured by competitive public tender as required by Section 21 of the APEC Authority Act? "Has the arrangement been approved by the APEC Probity Auditor? "Does the APEC Probity Auditor even exist, and if so who is it? "80 luxury Mahindra XUV500 vehicles bought outright at a cost of $US2,442,000 (K8,302,800.00). "Are these cars going to be sold after APEC or are they being retained by the Government? "Was this purchase conducted by public competitive tender and was it subject to the scrutiny of the APEC Probity Auditor? "Can the Prime Minister, Mr Tkatchenko or their outrigger Mr Hawkins confirm that the Mahindra XUVs were also purchased through a car dealer in Colombo, Sri Lanka?
" What were the arrangements for the purchase of the Bentleys? "There is also a rumor of Lamborghinis being bought. "Information I have been provided indicates that all the APEC cars have been brought into PNG free of duty and excise, and that this very valuable benefit is to be passed on to private sector buyers. "What is the total value of the excise and duty forgone?
" Why are the nation’s wealthiest businesses and individuals receiving benefits that ordinary Papua New Guineans can only dream of? "Why is government revenue being deprived of millions of kina at a time when the nation is strangled by waste, mismanagement and corrupt activities? “The Prime Minister and Mr Tkatchenko should explain to the people of Papua New Guinea why more than K3 billion has been spent on APEC, including many wasteful, extravagant items such as luxury cars, at this time of suffering and hardship,” Sir Mekere said. “More and more people are dying of preventable diseases such as polio, tuberculosis and malaria. "Hospitals and clinics are closing, and essential drugs and other medical supplies are unavailable. “Schools are closing all over the country, and teachers and other loyal, hardworking public servants are not being paid. “Virtually every government activity is being starved of funds, the private sector is being crippled by a shortage of foreign exchange and the failure of the government to pay its debts, and the nation is slowly grinding to a halt. “What sort of cruel, twisted mind would, in the face of these irrefutable facts, devote K3 billion-plus to a party for foreigners, PNC members and their cronies? “I urge people to show their disgust by joining the Nationwide Boycott next Thursday 25 October. Your contribution is a day’s pay to ‘join the fight to save your children’s future'. The Member for Moresby North-West, Sir Mekere Morauta has called for a full independent inquiry into government spending on APEC, the behavior of the APEC Authority including the letting of contracts, and the cost to the nation of holding the event. “Over the past few days, with the revelations about the importation of luxury Maserati cars by the APEC Authority, it has become clear that corruption surrounding APEC is out of control,” he said. Sir Mekere said the first step should be for the Fraud Squad and the Ombudsman Commission to investigate the Prime Minister, the APEC Minister, and APEC Authority officials in relation to the major discrepancies in the Maserati purchase, and contradictory statements by all involved. "In the meantime, APEC Minister Justin Tkatchenko and APEC Authority CEO Christopher Hawkins should stand down. "The second step should be a wider inquiry into all aspects of APEC, focusing on corruption, waste and mismanagement and the impact the cost of the event has had on ordinary Papua New Guineans through the diversion of funds away from essential services such as health and education. “The Maserati purchase is a scandal,” he said. “There is no other word for it. 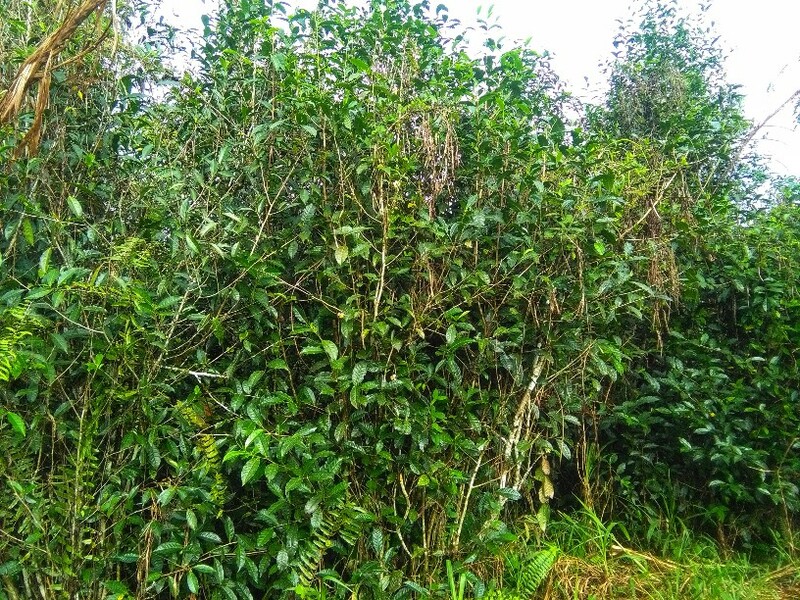 "The most basic legal and financial procedures appear not to have been followed, and it looks to me as if there is a discrepancy of several million kina in the transaction. "Why would the Government buy vehicles from Italy via Sri Lanka? “The Prime Minister must explain in detail the entire transaction, and he must account for every toea of the people’s money that has been spent. "For example, he must publicly provide evidence that a competitive public tender was held for the purchase of the cars, as required by section 21 of the APEC Authority Act. "Was the purchase approval given by NEC, as required by the Act? “He must cease the secret sale of the cars to PNC cronies and others in the private sector, and conduct a proper tender under Section 21. "Mr Tkatchenko says the cars ‘are selling like hot cakes’ to private buyers. "What is the price? What are the terms and conditions? Who is buying them? "And yet the Prime Minister says there will be a public auction for the vehicles after APEC. "Whom are we to believe – PM or Justin? "They are both trying to deflect all questions, and in the process are contradicting each other. “Did any part of the transaction go before the APEC Supply and Tenders Board? "Did it go before the Independent Probity Auditor required under Section 24 of the Act? Sir Mekere said the Maserati scam had exposed the broader issue of the extravagant expenditure of the Government on APEC at a time when the nation cannot afford it. “Let me be clear. I am not against APEC,” he said. “I am against the way the Government has sucked Papua New Guinea dry to pay for it. "According to figures provided to the International Monetary Fund by Government officials, PNG’s budget for APEC was about K3 billion between 2015 and the end of this year. "It could actually be more; the public needs to be told the truth. “The fact that we have had to ask other APEC countries to help meet the costs shows that Papua New Guinea cannot afford to host APEC. Sir Mekere said the opportunity cost – the price of diverting funds from elsewhere to pay for APEC – is enormous. 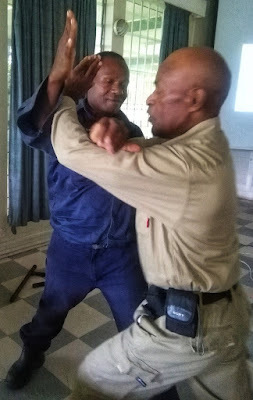 "Cuts to departmental budgets; PNG missions overseas starved of funds – none of the recently-appointed heads of mission for example have been able to take up their posts as the department allegedly has no money for such use; foreign governments being asked to pay for PNG ministerial travel; cuts to teachers’ salaries; deteriorating health and education services; failure to immunize children resulting in a polio epidemic; a looming measles outbreak; an increase in the incidence of TB and malaria; no basic drugs or medical equipment in hospitals and health centres; a huge backlog of arrears – debts to businesses for goods and services already supplied to the Government. “The list is endless,” Sir Mekere said. “Virtually every sector of the economy is suffering from Mr O’Neill’s cuts to pay for his grandiose and wasteful self-promoting projects in Port Moresby. “As I said in Parliament in July, APEC was being portrayed as a king tide that will float the nation to high planes of social and economic development and drown our sorrows for good. "It is a burden on ordinary Papua New Guineans. "It has helped bankrupt the nation. The Member for Moresby North-West, Sir Mekere Morauta, supports a call for a nation-wide strike in protest at continuing corruption by and within the O’Neill Government. “Astonishing revelations in the last couple of days about the crooked contract to buy luxury Maserati cars for APEC, and then secretly sell them to private sector cronies, is the last straw,” he said. Sir Mekere also called for an independent inquiry into the Maserati fraud, concocted by the APEC Authority and the O’Neill Government. This latest episode in the O’Neill Government’s corruption, waste and mismanagement needs to be investigated and the facts put before all Papua New Guineans, he said. He said Papua New Guineans, and politicians with a conscience, should join with respected MPs Bryan Kramer, Gary Juffa and Allan Bird to express their disgust by staying home from work on Thursday and Friday. "It is not good enough for the Prime Minister, Mr Peter O’Neill, and the APEC Minister, Mr Justin Tkatchenko, to make statements in social media that are clearly incorrect, contradictory and designed to mask the smell of corruption and wrong-doing. “The APEC Authority has broken its own laws with the purchase of the Maseratis and the Prime Minister’s proposed sale of them. “The Prime Minister and Minister Tkatchenko have connived with the authority and are trying desperately to hide the truth. “But we are not fools. “This is just another chapter in the monumental abuse of APEC contracts, which I and others have exposed. "Look at all the over-priced and unnecessary roads and buildings constructed by PNC cronies to glorify the Prime Minister. “These projects, and the multi-million-kina Maserati scam, have proceeded at the expense of the health system, the education system, rural infrastructure, law and order, Government finances and the economy, and employment. “Why are we importing luxury cars for Mr O’Neill and his wantoks to ride around in when children are dying of polio, tuberculosis and other preventable diseases? “There is no medicine in hospitals and clinics. Sir Mekere said the O’Neill Government’s corruption, waste and mismanagement had brought international shame on Papua New Guinea. "The whole world is looking on and asking why Mr O’Neill, Mr Tkatchenko and others are spending this money when Papua New Guinea cannot look after its own children. "We have become an international laughing stock. 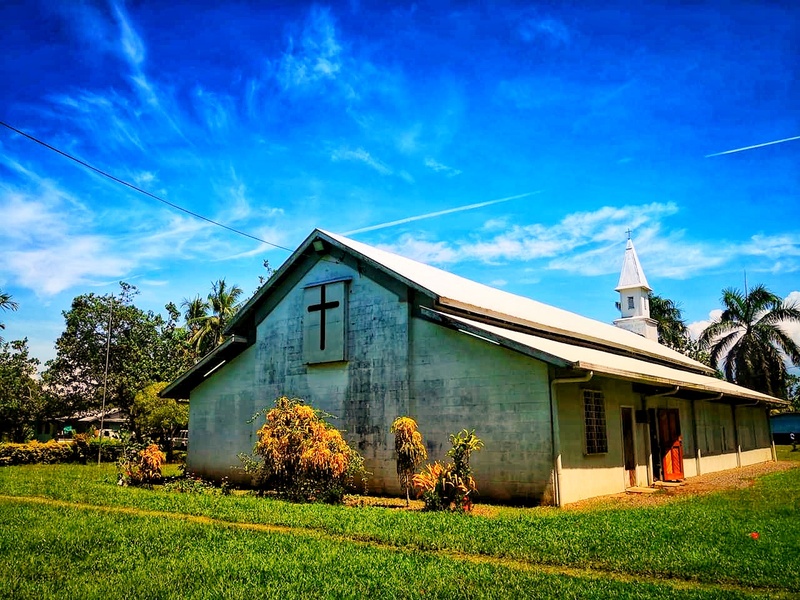 St Andrew's Lutheran Church at Ampo in Lae turns 85 this month. 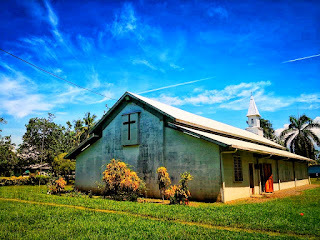 The church, built in its present form in 1933 (until renovated in 2005), is the only pre-war building in Lae and the timberwork used to bear many bullet scars (until renovated). 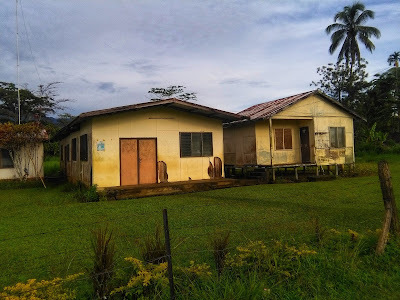 During the war, it served as a Japanese hospital when its custodians from Butibam village fled into the foothills on the far side of the Busu River. 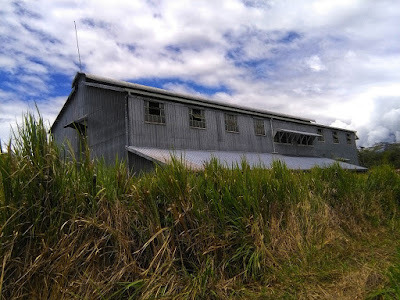 A bush material chapel was built at Ampo in 1912 by pioneer German missionary, Gottfried Schmutterer, and the first baptism took place on October 20, 1912. Timber from Bukawa was put on the ship Bavaria and brought to Lae on Feb 11, 1933. They started building the church on March 4, 1933, with dedication being on Oct 8, 1933. Minister for Tourism, Arts and Culture Emil Tammur and Australian Foreign Minister Senator Marise Payne reopened the refurbished National Museum and Art Gallery (NMAG) in Port Moresby on Friday. Foreign Minister Marise Payne and Dr Moutu, director of the National Museum and Art Gallery during tour of the museum. Foreign Minister Marise Payne looking at pieces on display at the National Museum and Art Gallery with Dr Andrew Moutu, director of the National Museum and Gallery. The project involved the extensive refurbishment of the museum’s gallery spaces and external entrance area. The upgrade was supported by the Papua New Guinea - Australia partnership in close cooperation with the NMAG Board of Trustees and senior management. “With limited work done to the museum since it first opened in 1977, we are pleased to see the building brought into the modern era with Australian support,” said Dr Andrew Moutu, director of NMAG. Curators selected 450 items of significance for display from more than 30,000 artworks and artefacts in the museum’s archives. All 22 provinces across Papua New Guinea are represented, with items chosen from the anthropological, archaeological, natural history, war relics and contemporary art collections. The five galleries have been renamed to Tumbuna, Susan Karike, Bernard Narokobi, Ian Saem Majnep and Be Jijimo in honour of the original vision for the museum as an authentically indigenous institution. A large mural artwork on the pavilion entrance of the museum has also been repainted by local artists. Payne acknowledged the importance of communicating cultural knowledge and educating the public. “The National Museum and Art.Gallery is a breathtaking monument to Papua New Guinea’s rich cultural heritage, and importantly, it improves considerably the PNG public’s access to this stunning collection of artefacts,” she said. Disability access was a key part of the upgrade, with ramps and accessible amenities installed inside and outside the building. Collections are also being made accessible for the first time using new technology. The Voices from the War exhibition was developed in collaboration with NMAG, local universities, and Australia’s Deakin University, and allows visitors to hear Papua New Guinean stories from the Second World War. Completed ahead of Apec Leaders' Week in November, the refurbished museum will become a must-see attraction for local and international visitors, and a major asset of Papua New Guinea’s growing tourism industry. The museum opens to the public on Monday Oct 15 2018. It will be open Monday to Saturday from 9am to 3.00pm, and on Sundays from 1pm to 3pm. On weekends, adults will pay a small entry fee. I had a 9.30am meeting on Saturday Oct 13 2018 at Islander Village. I call my faithful City Loop cabbie Albert Wangua (video below) to pick me up. Near the Islander Village, I get a text saying 10am, so I get off at the service station, walk into the Bank South Pacific ATM, withdraw K100, and walk into the fried chicken outlet. Albert, who is parked outside BSP, suddenly runs in, warning me to take care, as he'd seen some dangerous characters watching my every movement. As I cross the road, unaware, this gang is following me. Albert, now with another passenger, speeds towards Hohola, makes a u-turn, and shouts at me to jump on. He points out the gang following me. We go drop off the passenger at Boroko and Albert drives me back to Islander Village. We pass the men who would have robbed me, perhaps killed me, waiting for another unsuspecting prey. Albert, a committed Christian, says this is Divine Intervention. That's a snapshot of living in Apec City. Apec City is a very dangerous place to live and work in. PS: Albert is the hero and a credit to City Loop. It pays to have a trusted cabbie, who in my case, may have saved my life. The Australian Government will provide a further $6 million to the Global Polio Eradication Initiative (GPEI) to support the Government of Papua New Guinea (PNG) to respond to the current polio outbreak. In June 2018, the PNG Government declared a national public health emergency in response to confirmed cases of polio virus. 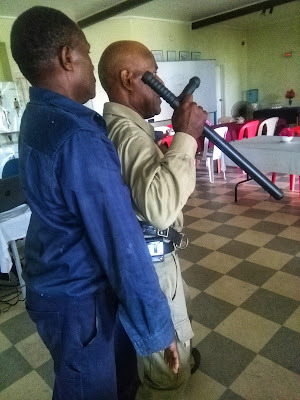 The PNG Government, along with key partners including GPEI, the World Health Organisation (WHO) and the United Nations Children’s Fund (UNICEF) have developed an outbreak response plan that includes mass vaccination rounds. Australia’s contribution to GPEI will support the delivery of PNG’s polio response plan. PNG is our closest neighbor, and a strong response is needed to protect both PNG’s and Australia’s health security. Routine immunisation remains the most effective prevention for highly infectious diseases including polio. The Australian Government is committed to the vital work of global polio eradication and has contributed $104 million to support the work of GPEI since 2011. Health clinics run by faith-based organisations across Papua New Guinea are integrating services, facilities and resources to better serve the primary health care needs of communities. In partnership with the National Department of Health, Australia is supporting Catholic Church Health Services (CCHS) and Anglicare to widen the health services offered at standalone sexual and reproductive health clinics across 18 provinces. This is a true partnership, with Australia funding staff salaries and operations of facilities, PNG Government paying for medicines, and the Catholic Church Health Services providing facilities. 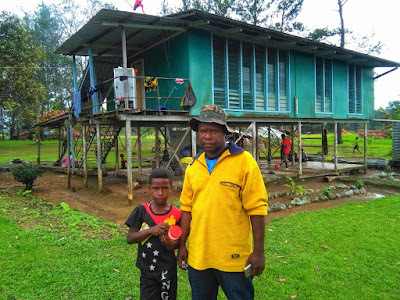 Graham Apian is the project manager at CCHS who is overseeing the integration process at the organisation’s 22 health clinics across Papua New Guinea. “Integration involves combining HIV clinics with primary health care clinics, so that people just visit one place, and no longer need to visit separate clinics for health care. For example, a pregnant woman with HIV should only need to go to one clinic, not two, for her needs,” said Apian. The Begabari Clinic in Port Moresby is one of two health facilities run by Anglicare that is expanding its focus to provide a broader suite of services. The busy clinic serves the National Capital District and neighbouring Central Province, and treats around 1100 people living with HIV, with over 200 new patients each year. While the clinic will continue to offer HIV and STI testing and treatment, it will also offer a range of other health services, such as antenatal care, child immunisation, family planning, and tuberculosis and malaria testing. Sr Josepha Tametalong is the clinical specialist at Begabari and is pleased the clinic will be providing integrated health care. “Mothers and children especially, and the general population, will now have a government recognised and accredited primary health care service, as this clinic will be upgraded to a Grade 3 clinic,” said Sr Josepha. 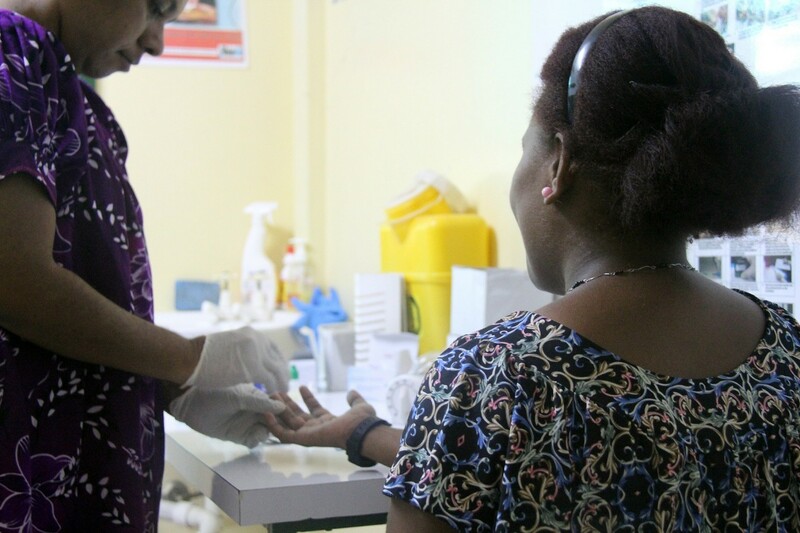 Many church and non-governmental organisations set-up sexual and reproductive health clinics in Papua New Guinea in response to the country’s HIV and AIDS crisis. The Director of Anglicare PNG, Heni Meke, says it is time these specialist clinics provided a more integrated service to patients. “Our clinics and health centres want to offer a ‘one stop shop’ service,” said Meke. Integrating health services is expected to be more convenient for communities, and also provide improved health care and value-for-money for Provincial Health Authorities and the National Department of Health. 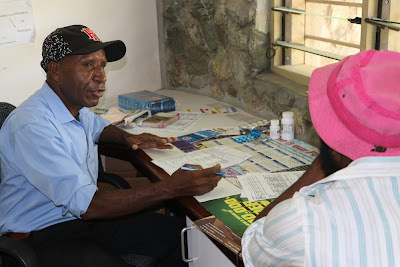 Anglicare’s Begabari clinic in Port Moresby and Newtown clinic in Mt Hagen are both currently being assessed to become government-accredited primary health care providers. “We are looking forward to meeting government regulations, as this is very important to get proper access to other government services and sustainable funding,” explained Meke from Anglicare. In addition to providing more holistic services to patients, integration will also provide more comprehensive health data to the government in order to better target services to community needs. “Previously we only fed HIV/AIDS and other STI statistics to the National Health Information System, but with the integration of other services, we are able to send health data on other diseases and infections that our nurses and community health workers attend to,” said Meke. In preparation for the delivery of integrated primary health care, organisations have begun training clinic health workers. 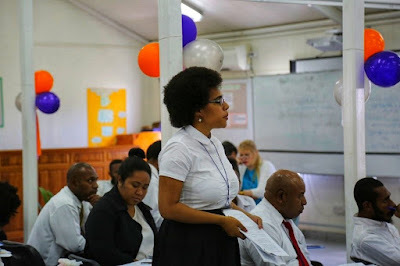 Mentor training is being rolled out to build up a cadre of Papua New Guinean health workers who can not only deliver high quality services, but also mentor colleagues to improve their STI, HIV and sexual and reproductive health skills. Sr Julie Bamban is a senior nurse at the CCHS-run St Joseph Freinademetz clinic in Port Moresby and participated in mentor training in 2017. The training covered integrated health clinic processes and procedures, and how to monitor the progress of health professionals delivering integrated health care. 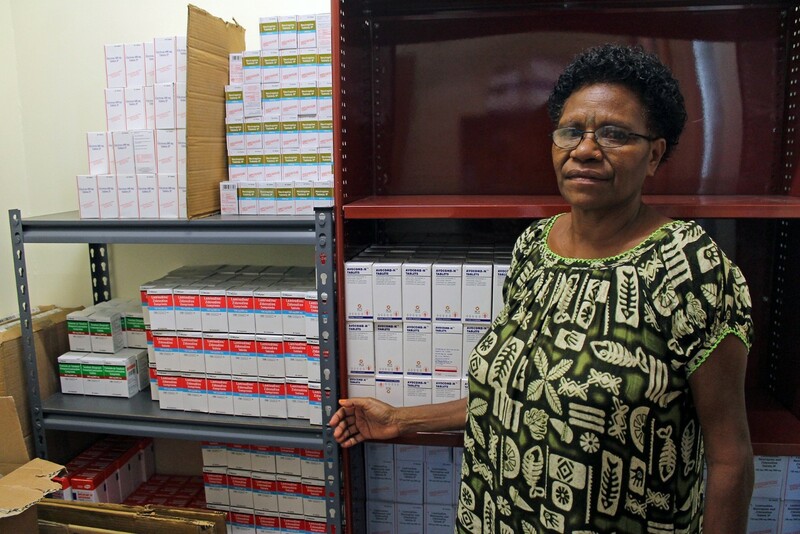 “It may take a bit more time for those processes and procedures to reach the clinics here in PNG, but realising that such innovations exist is a motivation,” said Sr Julie. Since the training, Sr Julie has been holding mentoring sessions once a week with other nurses at the St Joseph Freinademetz clinic. Access to commercial law expertise in Papua New Guinea is set to improve after close to 80 aspiring lawyers received training in modern commercial litigation practise from a team of judges and lawyers recently. Seventy-eight students, including 34 women, from the Legal Training Institute (LTI) were given instruction in key areas of commercial law during the four-day workshop, including how to apply for court injunctions and how to prepare for trial and mediate on commercial law cases. The workshop was developed and led by a team of 11 judges and lawyers from the Queensland Bar Association in consultation with LTI staff. This is the sixth workshop of its kind after its initiation by Chief Justice Sir Salamo Injia and Justice Logan in 2013, to help meet PNG’s rapidly growing need for skilled commercial lawyers. Speaking at the workshop’s closing, the Chief Justice encouraged the students to consider practising commercial law, and praised Justice Logan and the Queensland Bar team for volunteering their time and expertise. 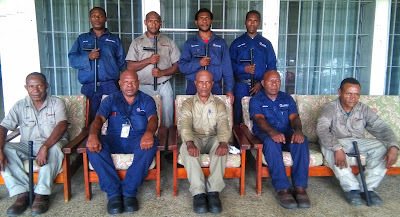 Similar sentiments were shared by Queen's Counsel, Mal Varitimos who said he saw “great potential” in those attending the workshop, and urged them to seize the opportunity to “make a positive contribution to the administration of justice, the rule of law and the people of Papua New Guinea”. He said about 600 PNG law students had received instruction in commercial law advocacy since the workshop’s inception five years ago– more than half the number of lawyers currently certified for practise in PNG. Representing the Australian High Commission, Law and Justice Counsellor, Gina Wilson said it was particularly pleasing that an increasing number of women were embarking on a career in law. Sharon Peri was one of the students who successfully completed the course, and found the practical nature of the sessions to be very useful, complementing other training she received at the LTI. The workshop was supported by the Australian Government through the Justice Services and Stability for Development Program. 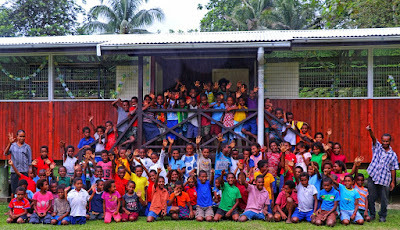 LIFE used to be good for many school children in remote Garaina, Bulolo,Morobe. They attended school, wore good clothes and ate decent meals every day. The children living with their parents, spend time with their peers, playing, splashing in the river or hunting for birds in the surrounding bushland. 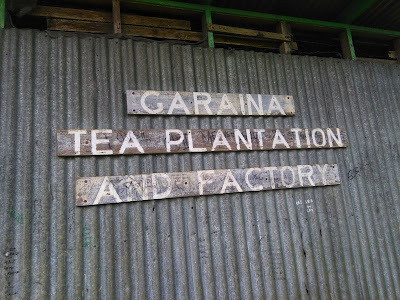 Life was was for them when their parents and many other local people earned a decent income working for Garaina Tea Plantation and Factory. However, all this came to an abrupt end, when the plantation and factory closed suddenly. Their parents were told that their employment would cease with immediate effect. The factory could no longer produce any more tea as there was no money to offset the overhead production costs. The future of the innocent children and their parents turned bleak. The local people returned back to their villages. They resorted to subsistent farming to sustain their lives. Children walked long distance to attend school everyday. The forced closure of the tea factory brought misery upon their lives. 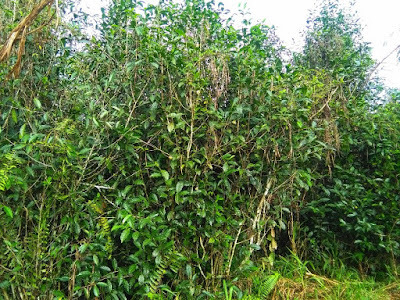 Garaina Tea, which had gained international popularity as one of best organic teas, now stands idle. What had happened is now history. A separate company has to be incorporated as a business arm of Morobe Provincial Government to manage operations of the tea plantation and factory. 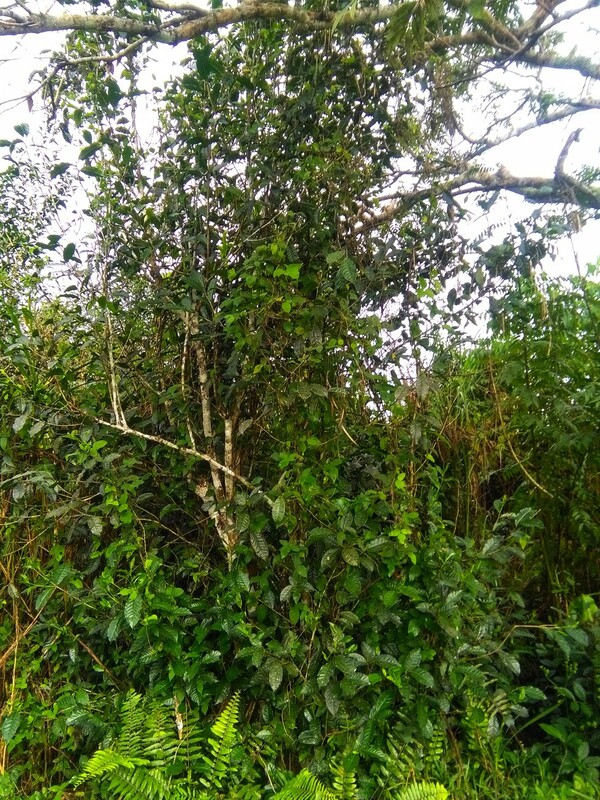 The introduction of cocoa into the valley and the revival of Garaina tea will greatly boost the economy of Garaina. It can become and agriculture hub of Bulolo, Morobe and Papua New Guinea. Add tourism and Garaina is onto a winner. We arrived at remote Garaina on Independence Day 2018. People greeted us when we disembarked from chartered North Coast Aviation Britten Norman Islander aircraft and walked over to the airstrip hangar at Garaina station. They welcomed us as we carried our bags to the small hangar. 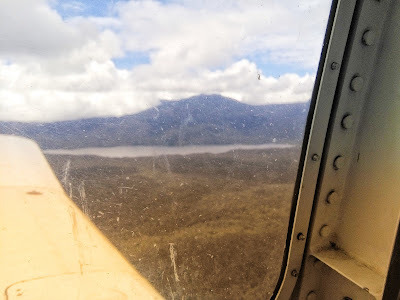 The 20-minute flight from Wau on a fine day gave us an opportunity to glance down from the aircraft to see the mountains separating Waria Valley from Wau. We flew over the Biangai mountains. We could see Lake Trist glittering under the mornng sun. Lake Trist as seen from our Britten Norman Islander. We later flew over the Biaru and Waria mountains before we saw Waria Valley in front of us. A local man and Grace Memorial Secondary School principal, Zukua Koito, who was sitting next to me excitedly pointed out of the window. We flew over Onora airstrip near the two villages of Sikemu and Kapiso. Garaina station was in front of us. The expatriate pilot steadied the plane as it slowly towards Garaina airstrip and landed safely on the grassy strip. Locals came rushing to the airstrip and welcomed us in their local Gusamanie language that is widely spoken by the people from Waria Valley. We grabbed our bags and returned their warm welcome by responding "dzobe". Wau-based policemen and two local guides arrived and led us along the track towards the LLG headquarters and the soccer fields. 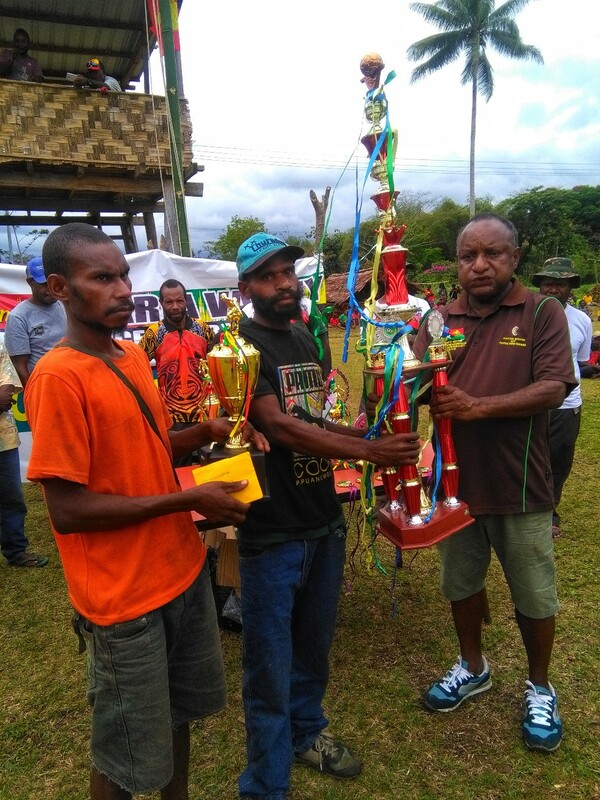 Forty-eight soccer teams participated in the weeklong Waria Valley Unity Cup Soccer Tournament. Arihe (men) and Au (women) took out the top accolades and K1000 prizemoney. Major sponsor and PNG Cocoa Board chief executive officer Boto Gaupu congratulated the winning teams. He said next year's event would be even bigger and better. "We will launch the Waria Valley cocoa project next year," he said. 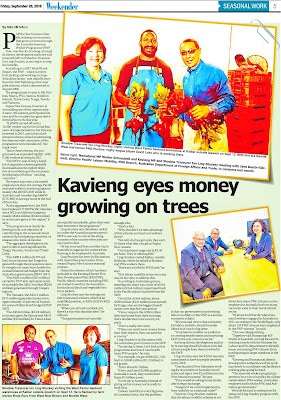 "Agriculture Minister Benny Allan and other senior Goverment officers from Waigani will be in Garaina to witness the launching programme." At Garaina, one other track leads to the primary school, shops, health centre and the closed Department of Agriculture and Livestock office. 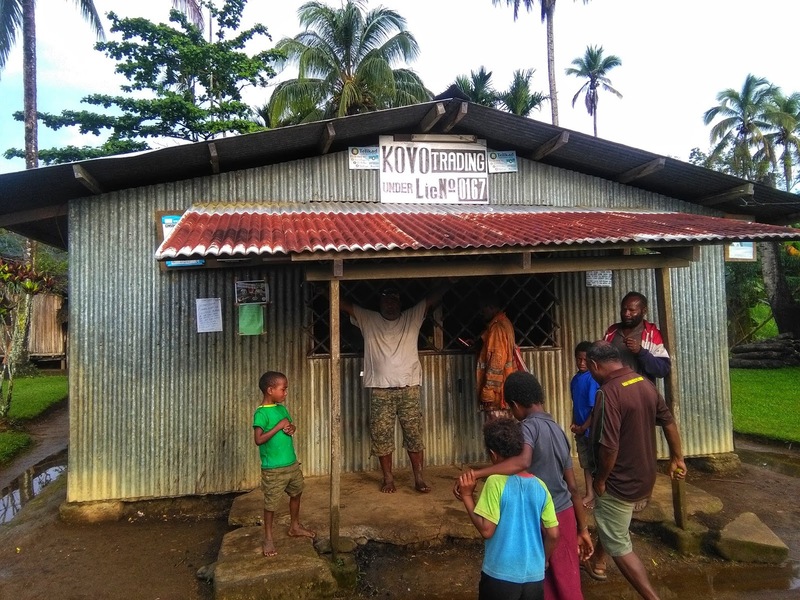 Two shops with Bank South Pacific Eftpos machines, owned by locals and located near the health centre, continue to provide public servants and local people with basic store goods. The goods are flown in by air. It's very costly to buy a packet of sugar or rice. The track then connects further down the road and leads to the local government council area. 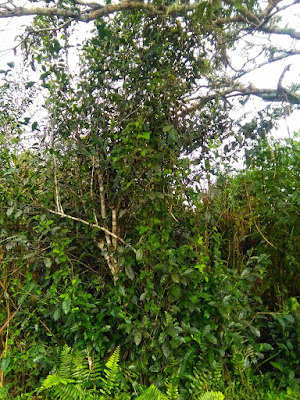 The old road that connected Garasa and Bapi villages is now closed and had been turned into bush tracks. The power line and the generator that used to supply electrocity to the station had also broken down and stands idle. The people still mention the name of former council manager, John Orebut, who served in Waria in the 1990s. They described him as the "best council manager of Waria LLG". The towering Owen Stanley Range right in front us at Garaina runs from Waria all the way to Northern and Milne Bay provinces. 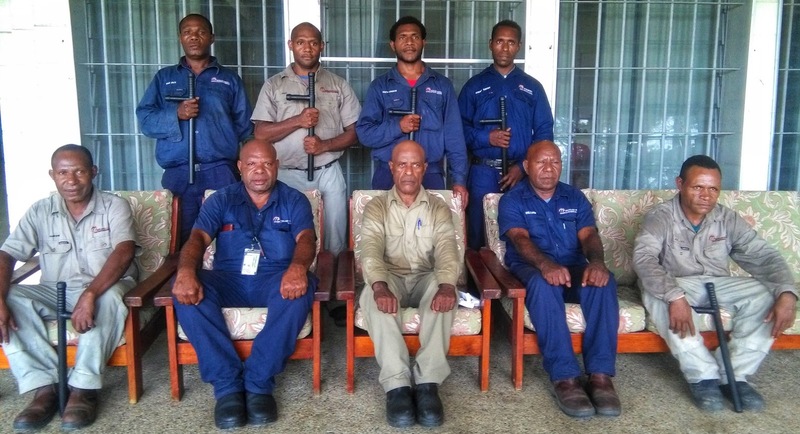 The lawn around the Waria LLG headquarters, council manager's house, two patrol officers' houses, police barracks area and deteriorating RSL Club house are kept clean at all times. 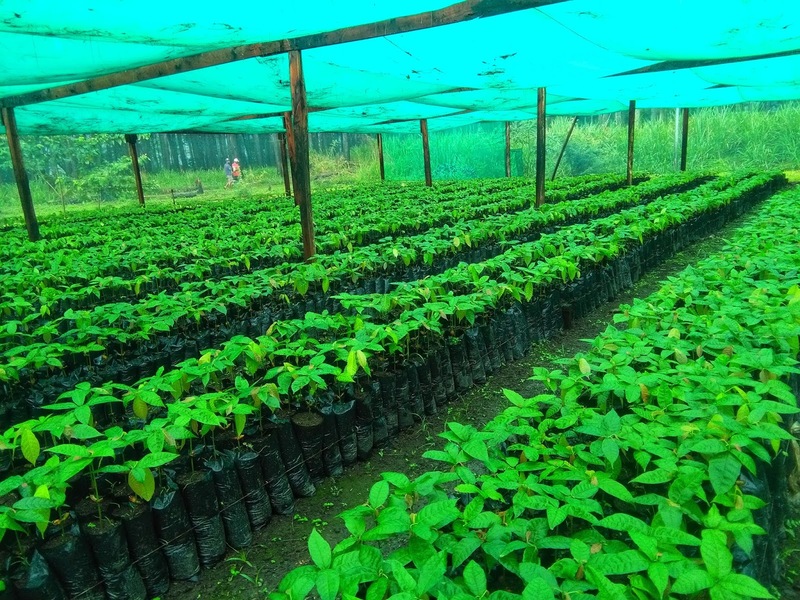 The cool climate and fertile soil makes Waria Valley one of the best areas to grow cash crops such as coffee, cocoa and tea. The area is an tourist destination. More guest houses need to be set up at Garaina and surrounding villages. The local people are very friendly and always look after visitors and government officers passing through their villages with accommodation and food. 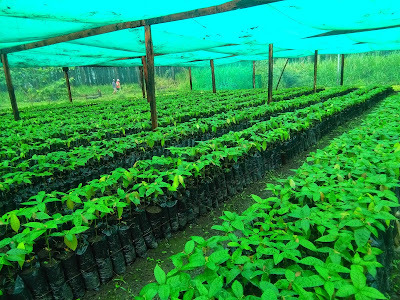 Waria Valley will soon transform into one of the biggest cocoa-producing area in Bulolo and Morobe. More local people will venture into various business activities to sustain their lives when cocoa production begins. Tourism will be one area the local people can venture into. They can build guest houses in the villages for tourists visiting their area for trekking, birdwatching and various other activities. Finally the day arrived for us to return back to Wau. I packed my bag, said goodbye to my new friends and walked to the airstrip to the rest of our team travelling back to Wau. "Aipo", all my new-found Garaina friends. See all of you again next year for a bigger and better soccer tournament to coincide with launching of Waria Valley Cocoa Project. 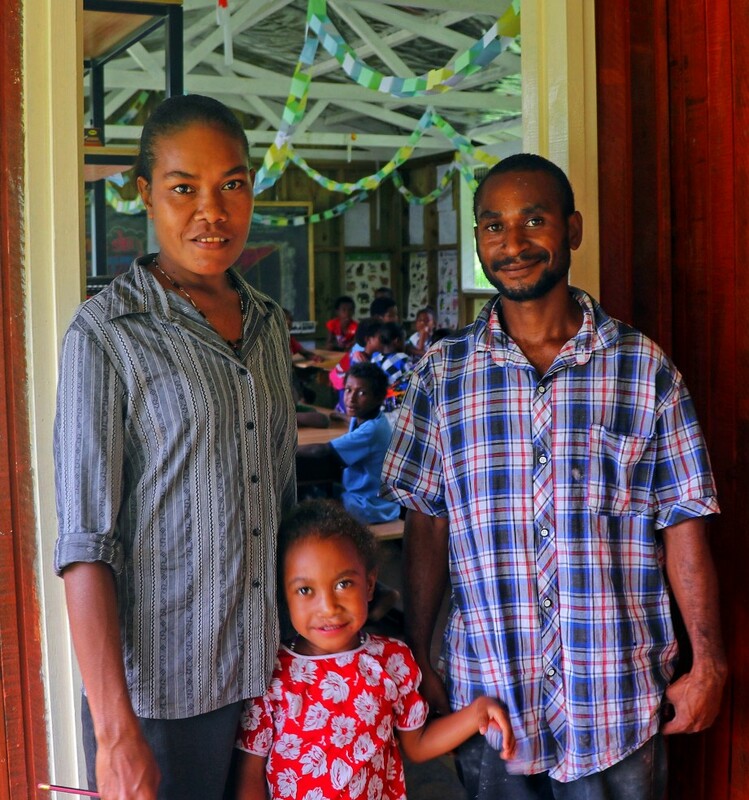 Cornelius and Wari Pondo are the husband and wife team who teach elementary students at Gorari Elementary School along the Kokoda Track. 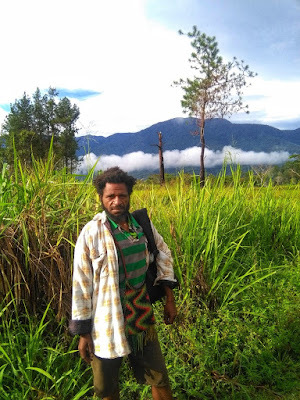 Despite having no formal qualifications, the Pondos were inspired to become teachers to educate and change the lives of children in their village, which is about an hour from Kokoda Station in the Sohe District of Northern Province. When an opportunity arose in 2012 to attend a teaching course at Mamba, run by the Kokoda Track Foundation, they both jumped at the chance and applied. After graduating, the couple returned to Gorari and established a classroom made of bush materials to teach elementary school children aged five to eight years old. Attendance in the bush classrooms has grown substantially over the years, and now the school has over 150 elementary students. To provide a more comfortable learning environment, the Kokoda Initiative (KI) recently constructed a new double classroom for Gorari Elementary School. Cornelius and Wari Pondo with their students and the new school facilities. The KI is a long-standing partnership between Australia and Papua New Guinea. Mrs Pondo said both classrooms were being used for elementary grades at the school. One room is used for her Prep and Grade 1 classes, while the other is used by the Grade 2 class taught by her husband. “When the classroom was built for our elementary grades, it really assisted us because previously our students were sitting on bare earth,” said Mrs Pondo. “With the new classroom, I am able to teach students from morning until afternoon, even when it is raining, and students also have proper desks and chairs. Remote Kandep, Enga, is know for all the wrong reasons. There's a silver lining to the dark cloud. It is a beautiful place with untapped tourism potential. 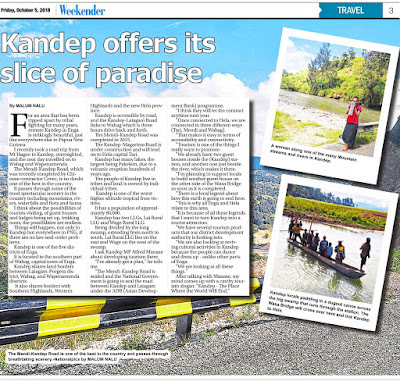 This article appeared in The National Weekender on Friday Oct 5 2018. 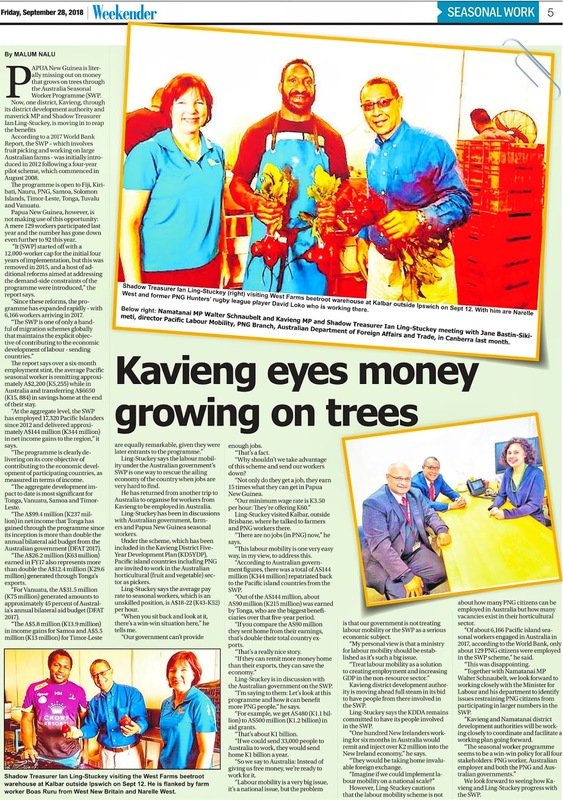 Maverick Kavieng MP Ian Ling-Stuckey is looking at the Australian Seasonal Workers' Programme (SWP) to solve Papua New Guinea's economic woes. 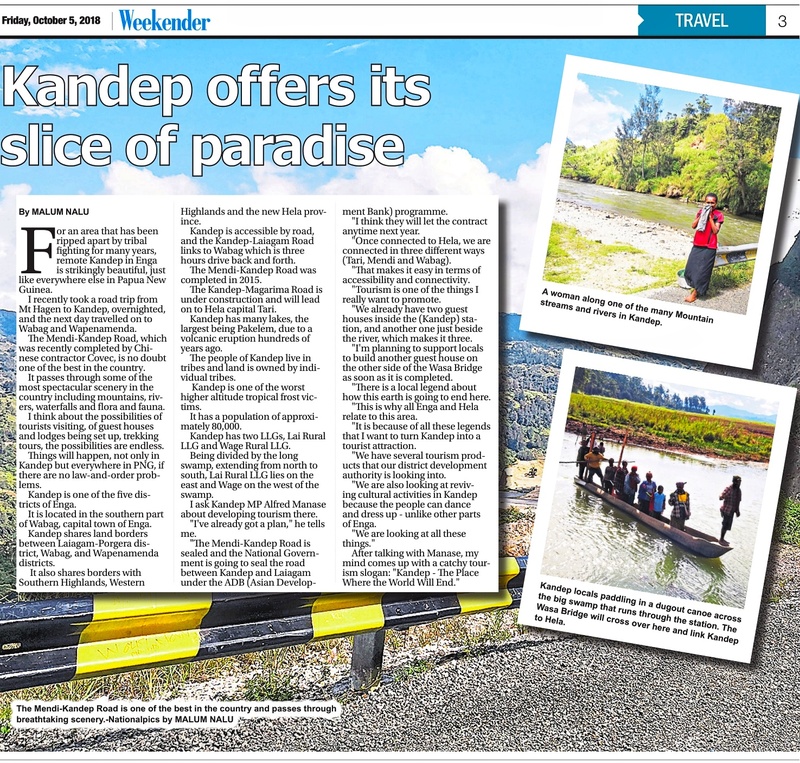 This article appeared in The National Weekender on Friday Sept 28 2018. 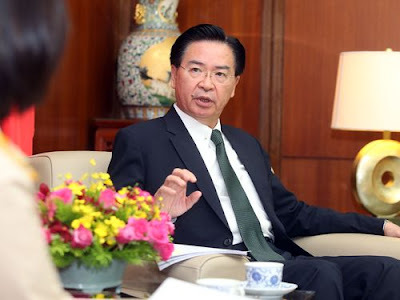 Taipei, Oct. 4 (CNA) China has been deploying a number of "little tricks" over the past few months to inhibit Taiwan's participation in this year's Asia-Pacific Economic Cooperation (APEC) meeting but to scant effect, Foreign Minister Joseph Wu (吳釗燮) said Thursday. In an interview with CNA Thursday, Wu said China has made several attempts to introduce its "one-China" principle, under which it sees Taiwan as part of its territory, into APEC's operating framework. For example, he said, China has asked that references to Taiwan in APEC documents be changed to "Chinese Taipei," the official title used for Taiwan in APEC. China has also tried to blocked many of the proposals made by Taiwan in APEC this year, he said, adding that such issues were resolved after Taiwan sought help from like-minded member countries. Those "little tricks" by China have caused some small twists and turns but will hardly affect Taiwan's overall participation in APEC, Wu said. In keeping with protocol, the 2018 APEC host country, Papua New Guinea, has sent envoys to Taiwan twice with an invitation to this year's leaders' summit, he said. Following those invitations, President Tsai Ing-wen (蔡英文) announced Wednesday that Morris Chang (張忠謀), founder of Taiwan Semiconductor Manufacturing Co. (TSMC), will represent Taiwan at the APEC leaders' summit in Papua New Guinea in November. Taiwan joined APEC as a full member under the name Chinese Taipei in 1991 and has played an active role in the annual meetings, seeking to enhance interaction with the other 20 member economies, according to the foreign ministry. Commenting last month on the issue, Matthew J. Matthews, deputy assistant secretary and U.S. senior official for APEC, told CNA that the United States has always been supportive of Taiwan's full membership in APEC and is making sure that status will not be compromised. 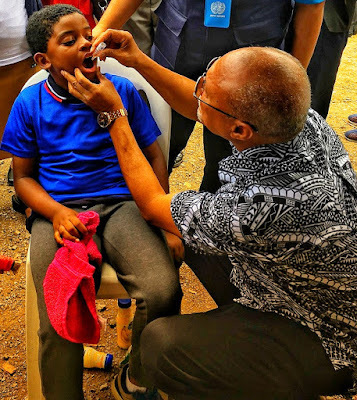 The Nationwide Polio Campaign was launched by the Minister for Health and HIV/AIDS, Sir Puka Temu on Monday October 1. Australian High Commission Minister-Counsellor, Benedict David, attended the launch and was pleased to announce K24 million to combat vaccine preventable diseases in Papua New Guinea. 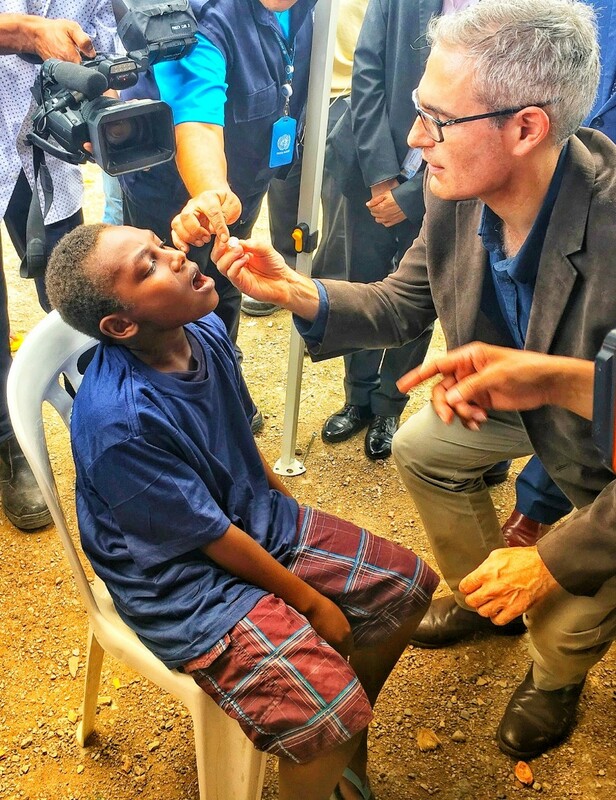 Australian High Commission Minister-Counsellor Benedict David vaccinates a child following the launch of the Nationwide Polio Campaign in Port Moresby. He said: “Australia and Papua New Guinea are close friends, and we will always look out for each other in times of need. The Government of Papua New Guinea has spearheaded a vaccination campaign to eradicate polio in PNG. 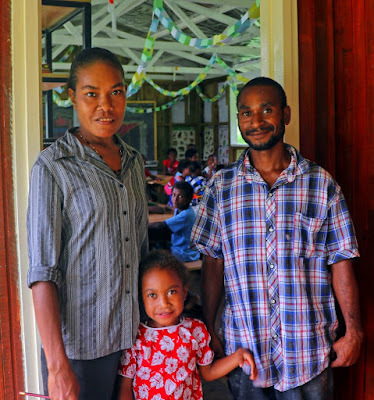 Sir Puka thanked the many health workers and communities who had supported the Government’s efforts to vaccinate every child in the country from this potentially deadly disease. Minister for Health and HIV/AIDS Sir Puka Temu vaccinates a child following the launch of the Nationwide Polio Campaign in Port Moresby. Low rates of routine immunisation have led to recent outbreaks of preventable diseases such as polio, measles, and whooping cough. In partnership with the World Health Organisation, United Nations Children's Fund and the US Centers for Disease Control and Prevention, Australia’s contribution will support the National Department of Health’s emergency polio campaign. Longer term Australian support will help to increase routine immunisation rates to avoid future outbreaks. 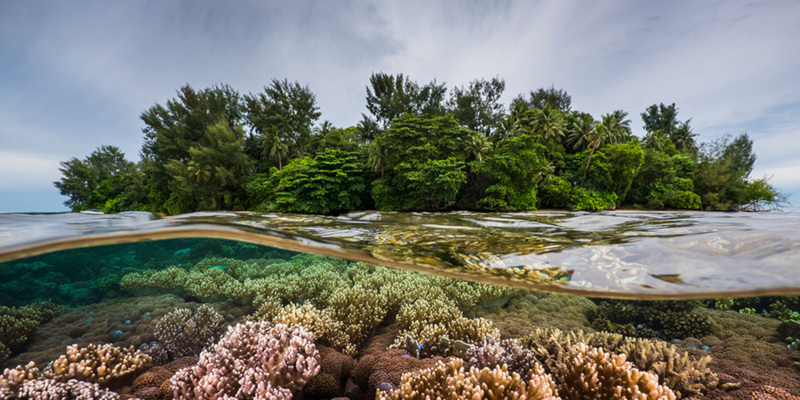 Occupying the eastern half of New Guinea, the world’s second largest island after Greenland, Papua New Guinea sits high atop almost every diver’s bucket list. 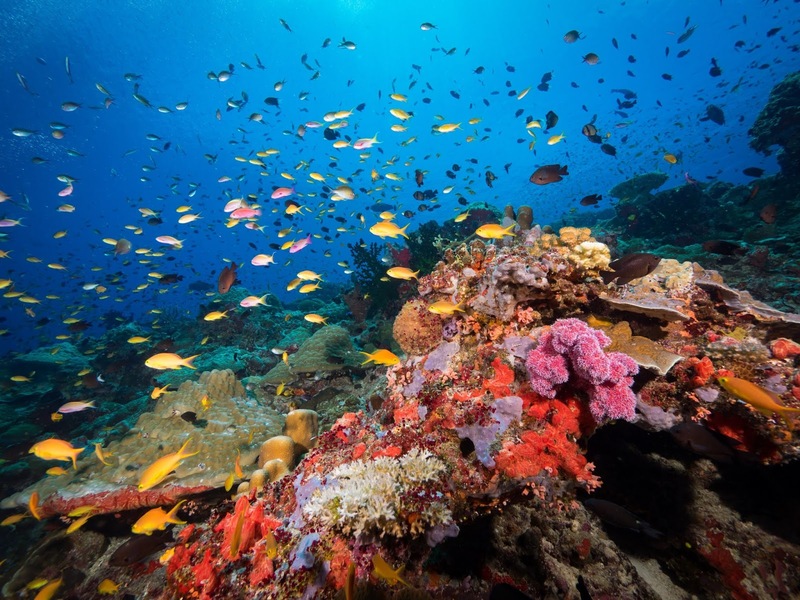 But in a land that spans 178,000 square miles (461,000 square kilometers), you’ve got to know where to go — and when — to get the most bang for your diving buck. With no highways spanning the entirety of the country’s rugged terrain, dive resorts in PNG give new meaning to the word “remote,” reachable only by small plane in many cases. Once you’re there, you’re there — and if it’s the right time of year, you’ll be happily stranded among some of the world’s best dive sites. Here’s our guide to the dive seasons in Papua New Guinea, focusing on the main areas. A wide peninsula juts out of Papua New Guinea’s southeastern corner, pointing like a finger to Milne Bay, home of Tawali Dive Resort. To get there, one must fly from the capital city of Port Moresby to Alotau. From there it’s a 90-minute bus ride through the countryside to small dock, where a boat awaits to make the final 20-minute journey to the resort. Milne Bay is most well-known for muck diving, but there are manta-cleaning stations and WWII wrecks on hand as well. Sitting on the north coast at the tip of the peninsula, Tawali is mostly sheltered from prevailing southeast winds. So even if the winds are blowing, visitors can still dive the protected northern sites. 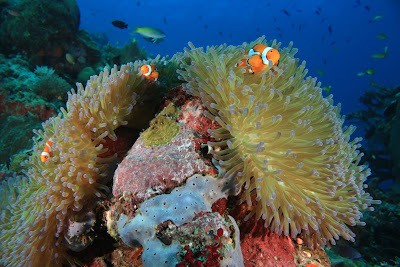 If the air is calm, divers have access to a plethora of sites south and southeast of the resort. Nonetheless, the very best time to visit this area of PNG is from October through March, when visibility is the best and the skies are relatively calm. Strong winds in February make getting to most dive sites a challenge. In Oro Province, which makes up most of the peninsula’s northern shore, Tufi Resort perches atop a spectacular green fjord with sweeping views of the water below. Just as with other PNG resorts, Tufi is quite remote. You’ll arrive via small plane from Port Moresby, which lands on a nearby runway, paved by Tufi’s owners to make the resort more accessible. It’s a short walk or quick car ride to the resort from there. Although there is diving in the fjords, Tufi’s real draw is the spectacular offshore reefs, five to 10 nautical miles offshore, so remote that many remain unexplored. On good-weather days it takes from 15 minutes to over an hour to reach some sites, and steady onshore winds for part of the year make them nearly inaccessible. The very best time of the year to visit is during wet season, from November to March. Walindi Plantation Resort sits on the shores of Kimbe Bay on New Britain, a PNG satellite island just north of the mainland. To get here, you’ll fly from Port Moresby to Hoskins Airport, also called Kimbe Airport. From there it’s a 50-minute drive to the resort. Kimbe Bay is best known for spectacularly healthy coral gardens and walls, and guests can reach even further-flung destinations onboard the resort’s liveaboard dive boats, the MV FeBrina and MV Oceania, which offer 8- through 10-night itineraries. The best time of year to visit Walindi is April through June and August through December. 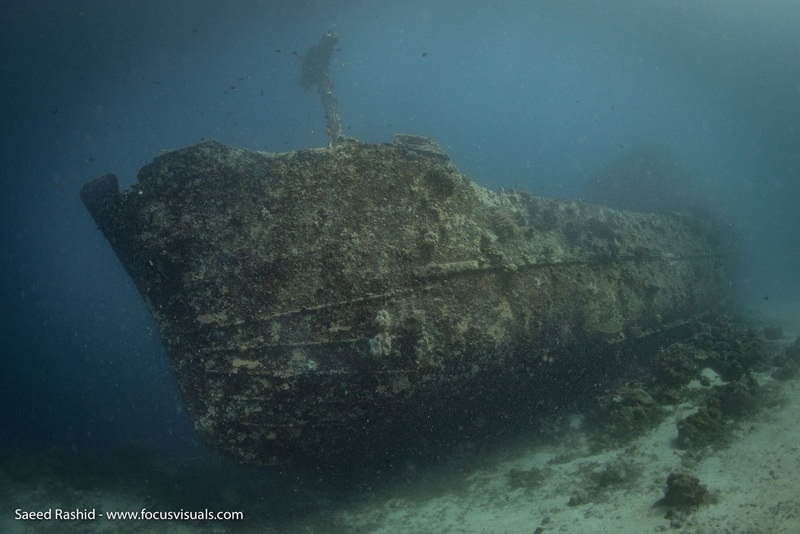 Rabaul, also on New Britain at its northern tip, is best known for fantastic WWII wreck diving. Most sites are relatively near shore, with the furthest being about an hour’s boat ride away. Aside from the wrecks, there’s also a healthy shallow-water reef and wall dives, offering the chance to see passing pelagics. 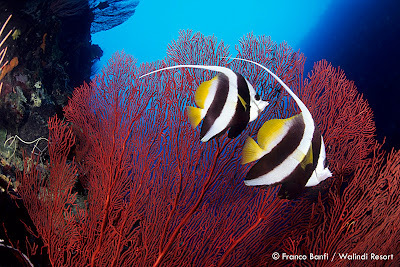 The best time of the year to visit Rabaul is April through early January when the visibility is best and wind direction cooperates with dive boats. Tiny Lissenung Island is home to a private resort right off the west coast of New Ireland Island, itself just north of New Britain Island. Visitors fly from Port Moresby to Kavieng, then it’s a 5-minute ride to the shore and a 20-minute boat ride to the resort, which sits just two degrees south of the equator, making for pretty consistent weather year-round. The island is only 1300 by 262 feet (400 by 80 m) and the resort sleeps a maximum of 16 guests, so you’re guaranteed seclusion. 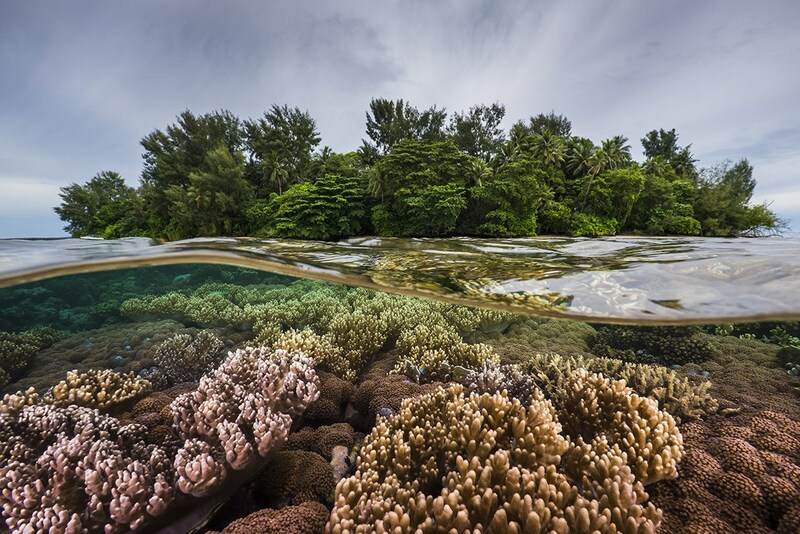 There are 36 mapped sites nearby, most well-known for pristine coral, sharks, turtles and macro life. Lissenung is best from late March through early January. Mid-January to mid-March is wet season and although you can still visit, it can get very windy and wet. It is with deep sadness I confirm that the body of a male passenger was discovered by divers today (Monday Oct 1) as they conducted a further search of P2-PXE and the surrounding area in the Chuuk Lagoon. This is the unaccounted passenger from the aircraft. Our outreach team is in touch with the man’s family and we are making arrangements to repatriate his body. The circumstances surrounding this accident are now a matter for relevant authorities as they begin their task of investigating the events that led to the incident and the actions which followed. We are committing all required resources to ascertain the factors that led to this accident. We express our deepest sympathy to his family. We are and will continue to provide support to his family in this time of loss.